Unless you've been living under a rock, you'll have noticed that yellow is everywhere right now! I think it's safe to say that yellow is the all-around "it" color, as it's prevalent in denim, tops, shoes, bags, nails, jewelry, and in various shades too! I love how yellow can even be worn as a neutral...especially the neon! This week's BEST OF centers around yellow bags. Earlier this week, I saw this one that made me 'mental note' myself to get my hands on a yellow bag asap. 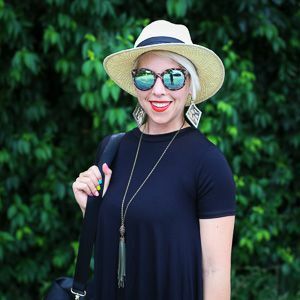 Somehow, I've been totally out of the loop on this summer staple...or maybe white denim has been cosuming my fashion thoughts. Either way, now I know. And so do you...just in case you weren't in the loop either. 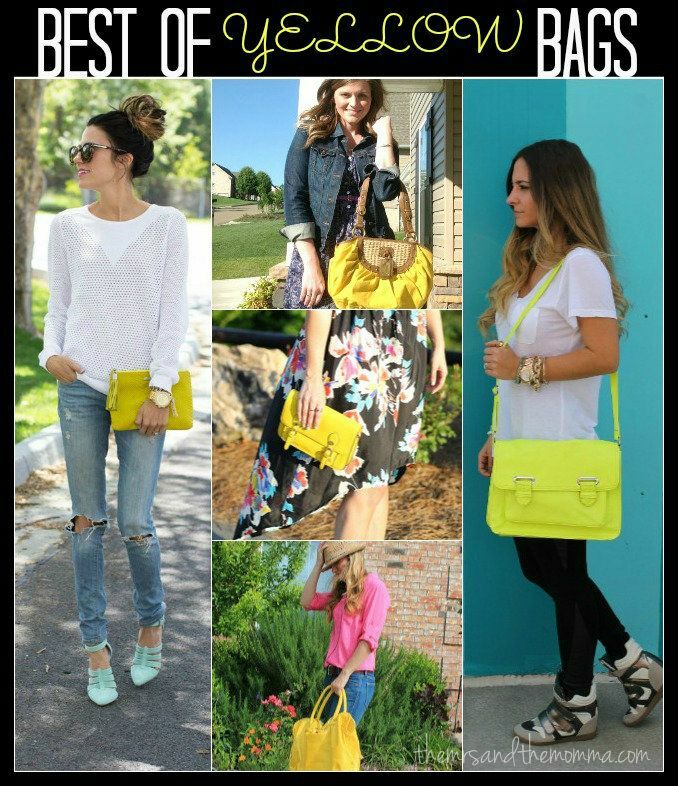 I just adore all of these BEST OF Yellow Bag styles....It was so much fun chosing this week's picks! 2. Please be a follower of The Mrs. & The Momma and My Wardrobe Staples. Love all ur picks here!! The first picture with clutch is so me!!! I got a chartreuse bag recently and a yellow clutch is on my list! which blog platform are you using for this website? I'm getting fed up of Wordpress because I've had problems with hackers and I'm looking at alternatives for another platform. I would be awesome if you could point me in the direction of a good platform. I've got a few yellow items from last year and can't wait to pull them out, will definitely need to look for a yellow bag!